A stalemate in D.C. threatens the world - and Cathy McMorris Rodgers has her part in it. Almost every Monday afternoon, a group of 12 Republicans meet, seated around a table in the Capitol. Speaker of the House John Boehner is there, as is House Majority Leader Eric Cantor. Along with them is the vice-chairwoman of the House Republican Conference, Cathy McMorris Rodgers. McMorris Rodgers holds a number of unique positions in that room. Representing most of Eastern Washington, she is the only representative from the Pacific Northwest. She also is the only woman elected to the leadership conference, and her position is the fifth-highest ranking in the House. where she’s pilloried President Barack Obama and congressional Democrats for what she characterizes as overspending and failing to create jobs. 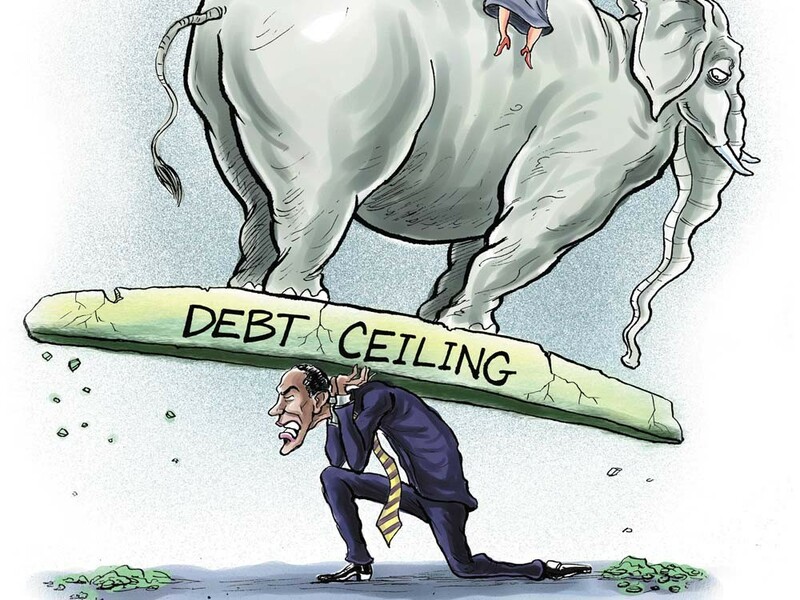 In the past, raising the debt limit has been a fairly routine affair. McMorris Rodgers went on the record in supporting a debt limit raise in 2006, but voted against it twice in 2008. The fight this time, she says, is to rein in a government that is spending at levels that could potentially send the country into a calamity like Greece faces. The latest offers from both parties would cut spending by different amounts, but the Republican proposal would raise the limit by an amount that would keep the government running for about six months. Obama and the Democrats want to fund the government through 2012 and the next presidential election. But unless some agreement is reached by the end of this Monday, Aug. 2, the government will not be able to pay its bills, which some predict would be a national, if not global, financial disaster. Things have changed for House Republicans since McMorris Rodgers was elected to the leadership conference in 2009. After the Republicans swept the 2010 midterm elections, the House became the spoiler to a Democrat-controlled Senate and White House. McMorris Rodgers doesn’t go to the White House to negotiate over the debt limit, but she does shoot emails back and forth with Cantor and will meet with Boehner periodically. In conference meetings, she says she’d made her signature issue the balanced-budget constitutional amendment, which, if it were ratified by the states, would prohibit federal government spending from exceeding its revenue. She says she’s been pushing for this type of legislation since she was first elected in 2004. She scored a victory when the balanced-budget amendment was included in “Cut, Cap, Balance,” a proposal that passed out of the House last week. The fate of this plan is instructive of the type of stridency that has gripped Congress since the 2010 midterm elections, a mood that Democrats have blamed on the election of a number of conservative freshman lawmakers. Rep. Raúl Labrador is one of these freshmen, representing Coeur d’Alene and a swath of western Idaho. He says “Cut, Cap, Balance” is a compromise supported by a majority of American people and predicted the consequences for Senate Democrats would be dire if they did not pass it. “Maybe [Senate Majority Leader] Harry Reid has zero percent chance of having a Democratic majority in 2012,” Labrador says. Upon its arrival in the Senate, “Cut, Cap, Balance” was voted down, by a tally of 51 to 46. In this climate of cutting, some see another threat: cuts too deep, causing layoffs among the sectors that Spokane relies on for its employment and well-being. “[Some politicians] think that they’re going to get costs down by paying less for services,” says Ray Batina, a professor of economics at Washington State University. If spending is cut to proposed levels, Batina predicts that programs like Medicare and expenditures locally and statewide will suffer, sending dire economic ripples around Eastern Washington. Batina says the blame for the rising debt lies with the wars and tax cuts started by the Bush administration and also with the economic stimulus package passed early in Obama’s administration. Former vice-chairwoman of the Washington State Democrats Sharon Smith agrees that the government needs to cut its spending. But she says the plans backed by McMorris Rodgers and fellow House Republicans would harm people in Eastern Washington who depend on programs like Medicaid. “The people it doesn’t affect are the superwealthy, and that’s really a shame,” Smith says. Any cuts made should be backed by an overhaul of the tax code, Smith says, to close loop holes and tax breaks that she says are no longer necessary. “These are not job-generating loopholes,” says Smith, a former Spokane resident. In a Reuters/Ipsos poll released on Tuesday, 31 percent of people held Republican lawmakers responsible for the debt impasse, 21 percent held the president responsible and 9 percent blamed Democratic lawmakers. The poll was conducted after a rancorous Monday night that saw dueling speeches between the president and Boehner. In his speech, Obama asked the country to “make their voice heard” and contact their representatives about the debt ceiling. That plea apparently caused a flood of calls and emails to McMorris Rodgers and other representatives, and on Tuesday, congressional websites were crippled by the high traffic, says Todd Winer, communications director for McMorris Rodgers. Besides being in leadership, McMorris Rodgers is in a variety of caucuses — groups of lawmakers who meet and talk about common issues, like hydropower, the Air Force and disabilities. “I found that that’s a good way to work both in a bipartisan fashion with other members on issues that are priorities for us,” McMorris Rodgers says. Rep. Lois Capps, a California Democrat, disagrees with McMorris Rodgers on many things, she says, including the current debt crisis. But Capps, who sits with McMorris Rodgers on three subcommittees, says she and McMorris Rodgers have been able to collaborate on legislation and that she’s glad to watch her fellow congresswoman’s rise within the opposition. That rise has brought her to the White House, particularly early in this Congress, when the leadership conference headed over to the Oval Office to meet with Obama. Discussions with the commander-in-chief have been productive, she says, and a good way to find some common ground on issues of importance to both of them. When asked what she thinks of a statement made by Sen. Mitch McConnell, R-Ky., that the goal of the Republicans is to make Obama a oneterm president, she agrees.